With a 3.3ft (1m) attached cable andApple MFi Certified Lightning Connector, the Ennotek. 1 x Ennotek. Attached Apple MFi Certified Lightning Cable. MFi Certified: Yes. ORICO 5- Port USB Universal Charging Station For Travel Power Adapter 2.4A UK. Rated 6.6 ft (2m) drop protection; IP66 rated against rain, splashes and mud. Durable rubber armor outer jacket protects battery from impacts. so protect. 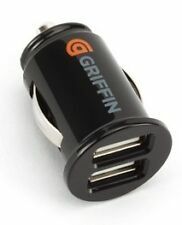 Griffin’s Reserve Power Bank provides portable power for any smartphone or tablet. 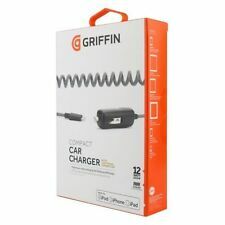 Griffin Reserve Power Bank 2500 mAh Portable External Phone Charger - Black. Condition is New. Extra long Lightning cable officially certified by Apple. 10 foot (3m) cable. Argos will then notify you when your order is ready for collection. 1 x Griffin GC41317. This lightning connector cable is almost 10 feet long and built with heavy-duty cable. Connect this cable to your computer's USB port to sync your iPad, iPod, or iPhone, or to a USB power source. Includes detachable Lightning connector cable for charging and syncing. 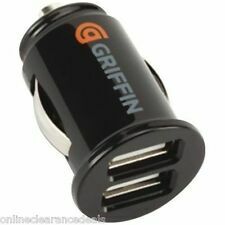 Griffin Single 3 Amp USB-C Mains Charger Powers up any smrtphone, tablet or USB-C device. 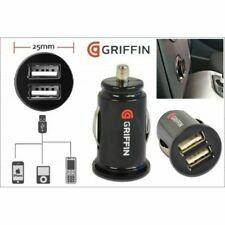 The Griffin 15W USB-C Mains Charger enables you to charge your USB-C compatible smartphone and tablets, up to 50% faster than regular 5W Charging. Charge Sensor Technology protects your devices from over charging. 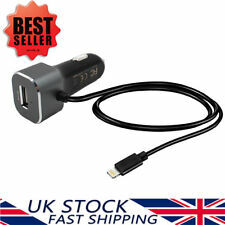 For use with any compatible Micro USB device. 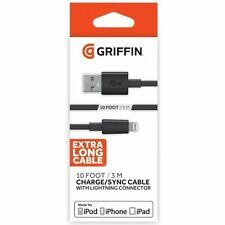 This lightning connector cable is almost 10 feet long and built with heavy-duty cable. Connect this cable to your computer's USB port to sync your iPad, iPod, or iPhone, or to a USB power source. You will receive EAN: 191058063267. Compatible with all USB-C enabled Smartphones and tablets handsets. Compatible with Apple Lightning. Part Number GA40613. 12 Watt (2.4 Amp) output. ITEM DISPATCHED FROM OUR UK WAREHOUSE. Interested in becoming a vendor?. Powerblock, Lightning, EU UK, black. Colour of product Black. we do not take any responsibilty after this. Audio Visual. Included power plug types EU,UK. USB 2.0 ports quantity 1. Ports & interfaces. USB Cable 1M / 3.2FT Length. Attached Apple MFi Certified Lightning Cable. CE & RoHS Certification. MFi Certified: Yes. Contains built-in short circuit protection. Aluminium panel enhances heat dissipation. Output 2 (attached Lightning Cable): Up to 5V/2.4A. With a 3.3ft (1m) attached cable andApple MFi Certified Lightning Connector, the Ennotek. 1 x Ennotek. Contains built-in short circuit protection. Aluminium panel enhances heat dissipation. Attached Apple MFi Certified Lightning Cable.